It was alleged that the governor was spending money which had not been appropriated by the legislative arm of government. Governors Ambode has come under heat in recent times over allegations that he was secretly funding the campaign of the governorship candidate of the Peoples Democratic Party, Mr. Jimi Agbaje. 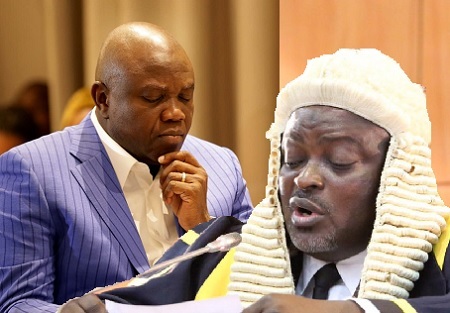 The Lawmakers, at the resumed plenary, deliberated on the need to apply the sledgehammer by commencing an impeachment process against the governor over gross final misconduct in the implementation of 2018 budget. The governor, however, pledged his loyalty to the party, denying allegations of treachery. Ambode broke with tradition last year when he failed to submit the state budget before the entire House. The state government had claimed that the budget was privately submitted to the House, a report which many of the lawmakers have denied.